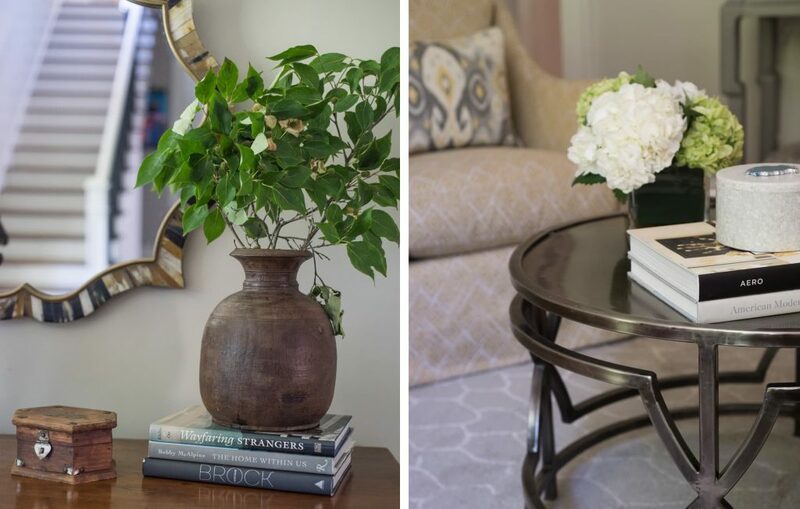 Coffee table books are not only practical and informative, but they make the perfect decorative accents! They are a designer’s best friend, and a must-have when styling coffee tables and bookshelves. But why are they so trendy right now? We’re not sure how the rise of the coffee table book got started but we’re happy they’re here. A good book never goes out of style— especially when it’s designed with large, captivating photos and a gorgeous cover! Whether you prefer books about travel, fashion, history or interior design, there’s something for everyone. This elegant catalogue brings together all engravings from Redouté’s illustrations of Roses and Choix des plus belles fleurs et quelques branches des plus beaux fruits (Selection of the Most Beautiful Blooms and Branches with the Finest Fruits) and the most astounding images from the Lilies. Offering a vibrant overview of Redouté’s admixture of accuracy and beauty, it is also a privileged glimpse into the magnificent gardens and greenhouses of a bygone Paris. Academy award–winning actress, producer, and entrepreneur Reese Witherspoon invites you into her world, where she infuses the southern style, parties, and traditions she loves with contemporary flair and charm. Reese’s southern heritage informs her whole life, and she loves sharing the joys of southern living with practically everyone she meets. She takes the South wherever she goes with bluegrass, big holiday parties, and plenty of Dorothea’s fried chicken. It’s reflected in how she entertains, decorates her home, and makes holidays special for her kids—not to mention how she talks, dances, and does her hair (in these pages, you will learn Reese’s fail-proof, only slightly insane hot-roller technique). Reese loves sharing Dorothea’s most delicious recipes as well as her favorite southern traditions, from midnight barn parties to backyard bridal showers, magical Christmas mornings to rollicking honky-tonks. This captivating book explores the richly saturated history of makeup, style, and color at the house of Dior. Perhaps the hue the French house is most synonymous with is gray (which wraps the walls of the 30 Avenue Montaigne flagship in Paris and covers all of the brand’s packaging), but even Christian Dior himself believed in the power of the rainbow. “Why deprive fashion and women of the prestige and the charms of color?” he said. From Yves Klein blue to China yellow, Dior: The Art of Color takes you on a kaleidoscopic journey that will likely inspire you to rethink your approach, not only to getting dressed but also to dressing your home. This stunning visual album delves into the chic, stylish world of Barneys New York by showcasing the celebrated fashion designers whose careers the company helped launch. For loyal devotees, as well as those interested in fashion, style, art, and culture, this one-of-a-kind gem is a true collector’s item that documents the company’s significant influence on the evolution of fashion in New York City and captures the luxury, whimsy, and quintessential Manhattan esprit of Barneys New York. This is the extraordinary new body of work by author and photographer Claiborne Swanson Frank, the artist set out to explore what modern motherhood means in the 21st century. Turning her lens on 70 iconic families of mothers and children, these stunning portraits capture the emotional bonds and beauty that frame the primal relationship of a mother and child. Cities everywhere are graced with charming but little-known, off-the-beaten-track gardens and green spaces, offering urbanites in the know a chance to immerse themselves in nature. These often small, well-kept secrets are not as grand as those on the tourist trail but are equally delightful and rewarding to visit, if you know where to find them. Green Escapes is the revelatory insider’s guide to these secret gems. Each of them open to the public, the gardens range from pocket parks, courtyards, and rooftop terraces, to community gardens and more. Quality matters. Just as a home’s foundation should be built to stand the test of time, so, too, should the furniture, objects, and elements of our rooms speak to an enduring sense of beauty and comfort. They should outlast trends and our loving day-to-day use. But how does one recognize quality and judge whether something is well made? Christiane Lemieux set out to answer this question by interviewing the world’s greatest experts. Weaving together the insights and guidance of dozens of wallpaper and paint specialists, textile fabricators, accessories artisans, and interior designers, Lemieux has curated an unparalleled education in recognizing the hallmarks of timeless, heirloom-quality pieces. Hundreds of elegant home interiors—both iconic examples from the past and stunning residences today–represent the range of luxurious and customized environments that can be created with fine décor. As fashion editor and friend André Leon Talley writes in the introduction, “Valentino Garavani designs his luncheons and dinners, in all of his homes, the way he has created crescendos and allegros vivace throughout his forty-plus-year career as one of the greatest haute couture designers and high-fashion leaders in the world.” Photographed by renowned Italian photographer Oberto Gili, and organized by residence, this book invites the reader to enjoy various table settings and recipes specific to each home. Valentino Garavani, often known simply as Valentino, is a legendary fashion designer and master couturier. He founded his eponymous fashion house in Rome in the late 1950s and has since established an illustrious career designing for the world’s most glamorous women, from royalty to Hollywood icons, including Jackie O, Elizabeth Taylor and modern-day muses like Gwyneth Paltrow and Anne Hathaway. It’s true that the person makes the apartment, and the homes in Polly Devlin’s New York: Behind Closed Doors are as over-the-top, idiosyncratic, and creative as any New Yorker you might meet. You’ll feel like you’ve been invited to a dinner party where the conversation will not disappoint.